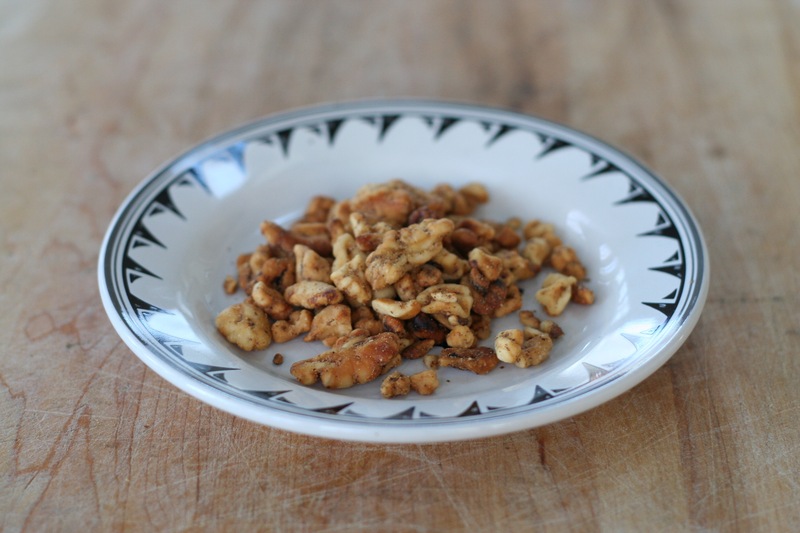 Toasting nuts is a lovely way to deepen their flavor and firm their texture. They don’t actually become crispy, but they develop a firmer texture. After they are toasted, the skins become loose and you can rub them off in a towel. The tannins, which are bitter, are located under the skins. So, when you rub off the skins you remove some of the bitterness from the nuts. 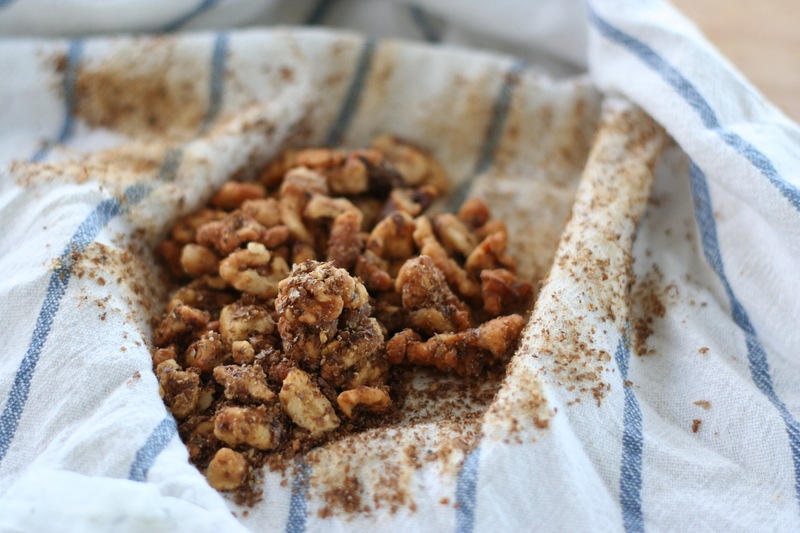 Toasted, peeled walnuts are wonderful in salads or added to your baked goods. The one trick, however, is to keep an eye on the nuts as they are toasting. They can quickly go from toasted and tasty to overly browned and bitter. 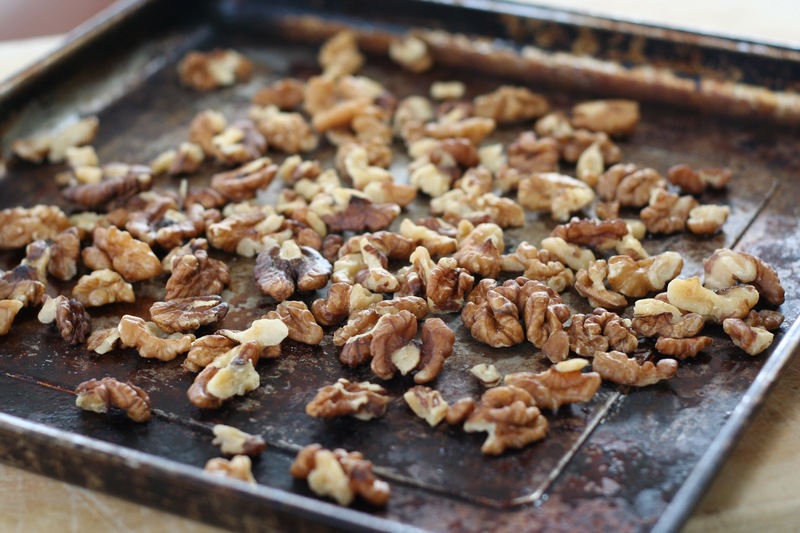 Place your walnuts on a baking sheet in a single layer. Place the baking sheet in your oven. 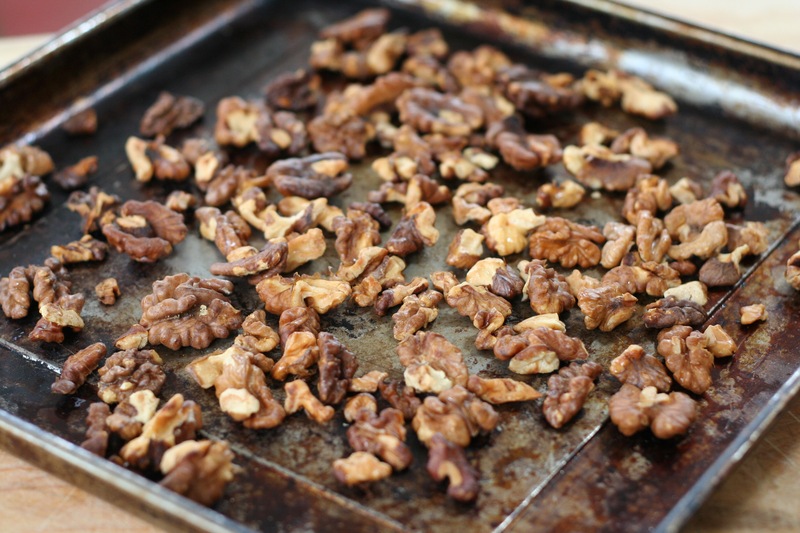 Cook the walnuts for 8-10 minutes. They will become fragrant and lightly browned. Cool them slightly. 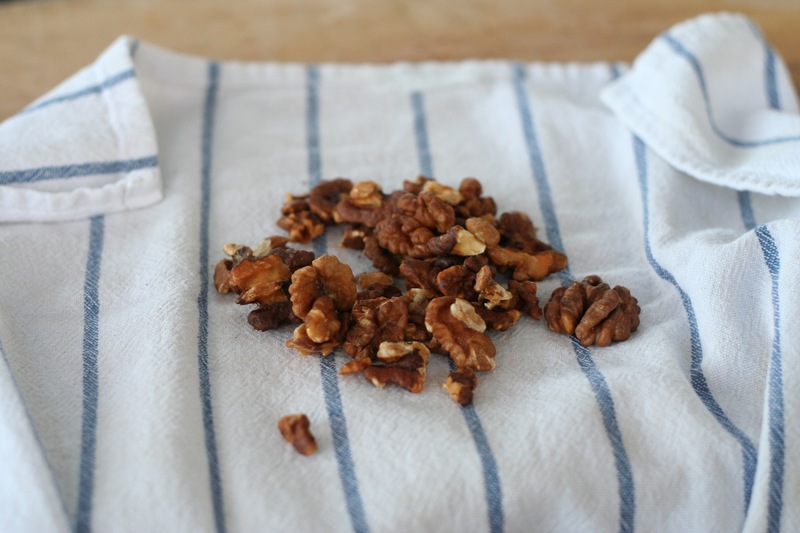 Place the toasted walnuts on a clean dish towel. 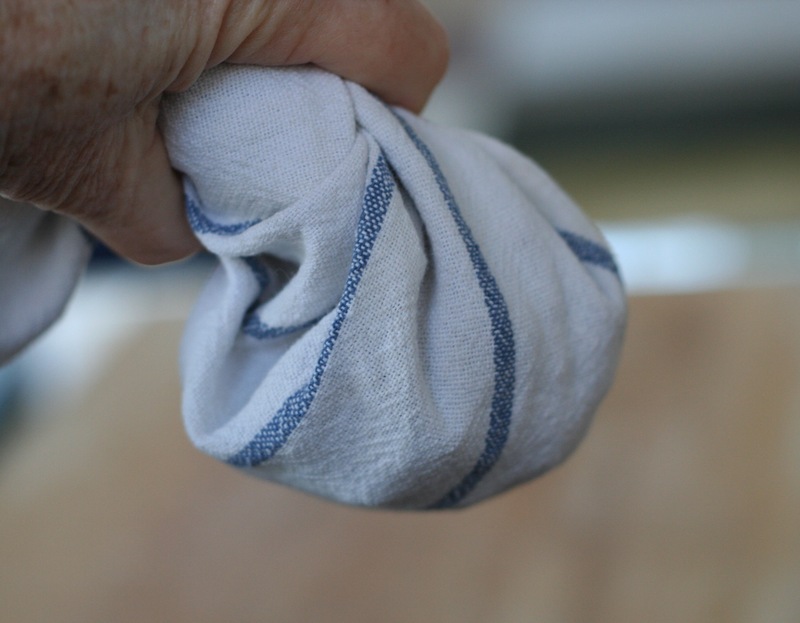 Draw the towel up, around the walnuts. 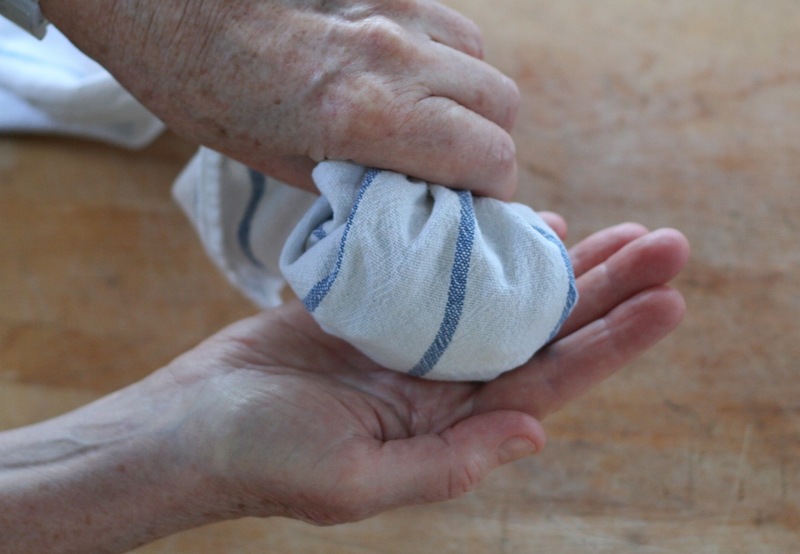 Rub the walnuts in the towel to loosen their skins. Open the towel. Separate the peeled walnuts from the skins. They won’t be perfect. In the picture above, the toasted, rubbed walnuts are on the left. 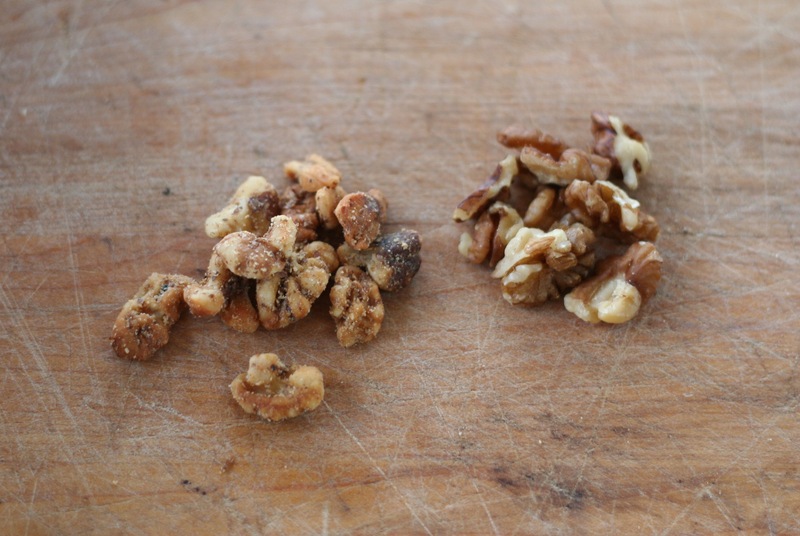 Untoasted walnuts are on the right. The process is a bit tedious, but your efforts will feel worthwhile when you taste them! This entry was posted in Cooking Basics, Snacks and tagged cooking basics, nuts, snacks, toasting, walnuts. Bookmark the permalink.